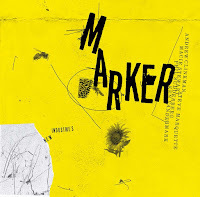 Released on the venerable jazz and blues label Delmark, this CD bears only tangential relationship to jazz and improvised music, but it testifies to the rich syntheses of musical languages in Latin American culture, presenting chamber music that pulses with life. 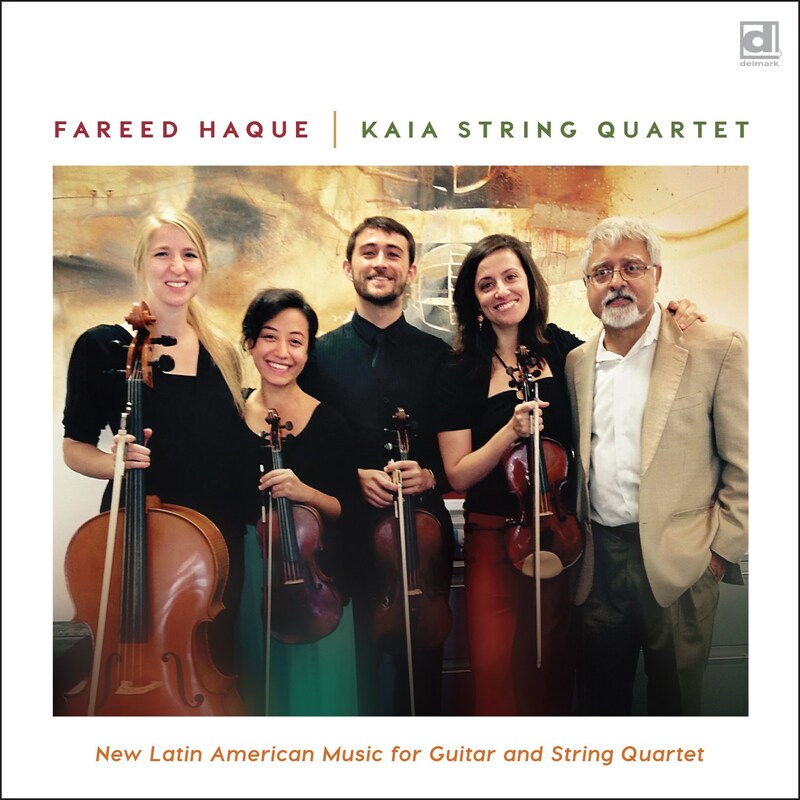 Master guitarist Fareed Haque and the KAIA string quartet present music that pulls together local traditions, European conventions and African roots from composers from Cuba (Leo Brouwer), Argentina (Astor Piazzolla), Mexico (Eduardo Angulo) and Uruguay (Elbio Barilari). 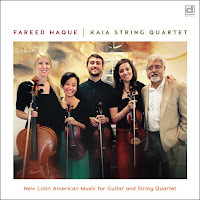 Piazzolla’s Five Tango Sensations was written for the Kronos Quartet with Piazzolla on bandoneon with and Haque has done a wonderful job of transposing the role to guitar. 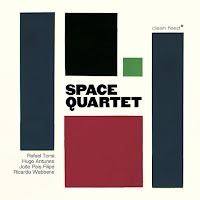 The concluding movement of Brouwer’s Quintet (1957) is a stunning example of complex music executed with a special degree of clarity and intensity. Portuguese composer/ sound artist/improviser Rafael Toral describes what he’s doing as “this odd intersection of Zen, Electronic Music and Free Jazz.” Initially influenced by John Cage and the methods of Lisbon trumpeter Sei Miguel, Toral has worked with a variety of electronic devices, from synthesizers to mini-amplifiers treated as sound sources. 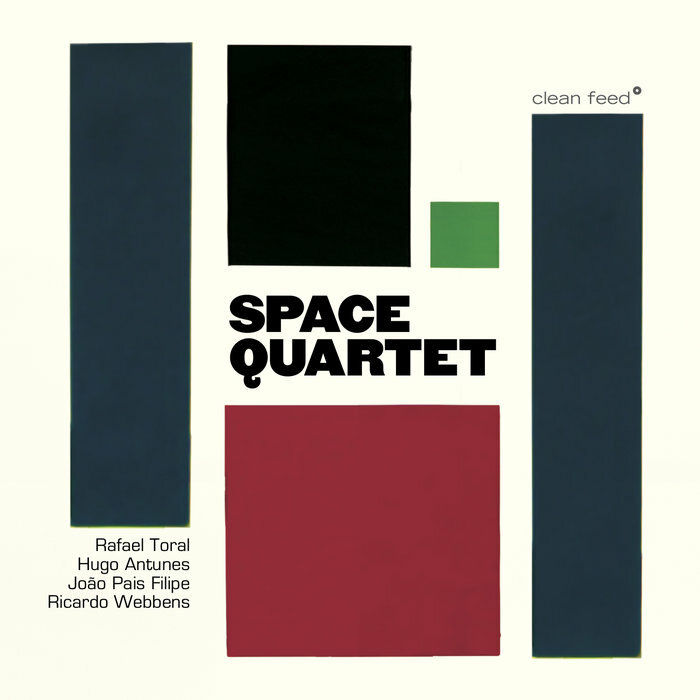 On Space Quartet, he presents something very striking, a band that is literally a direct hybrid of acoustic free jazz and electronic-based improvisation, adding bassist Hugo Antunes to regular partners drummer João Pais Filipe and synthesizer player Ricardo Webbens. Toral’s phrasing on feedback circuits and other electronic instruments is uncannily fluent, and there’s something very fresh in this reversal of typical roles in which acoustic instruments are in the foreground while electronics functioning ambiently. 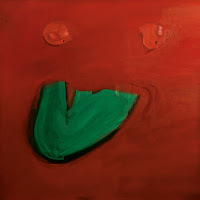 rafaeltoral.net is a fine source for streaming examples of Toral’s music. This is highly original, exciting music. Marco Scarassatti is a Brazilian sound artist and improviser. 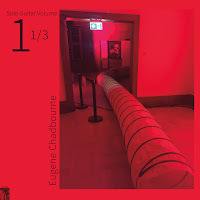 In 2017 he released the remarkably varied Casa Acústica (Fragments from an Improvisation Diary) on Creative Sources. One of the most interesting components of his diverse musical practice was his improvising on the viola de cocho, an idiomatic fretted string instrument of the lute family. Hackearragacocho is a half-hour web release devoted to the instrument. 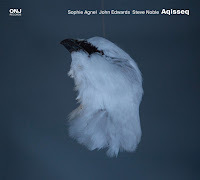 Scarassatti brings a range of approaches to it, from plucking melodies and drones to scraping, drumming and bowing it in free improvisations. Whatever his approach, Scarassatti is a special artist. 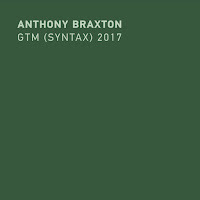 It's rare to hear music that is a spontaneous exploration of sound, sometimes at the granular level, and which also can be heard as music that explores and expresses complex and subtle emotional states in a way that perhaps only improvised music can, music that is coming into being and becoming one with the feeling itself. Belfast-born and London-resident guitarist Ross Lambert presents comparable levels of exploration and involvement on MAGNIT-IZ-DAT, his first solo recording. 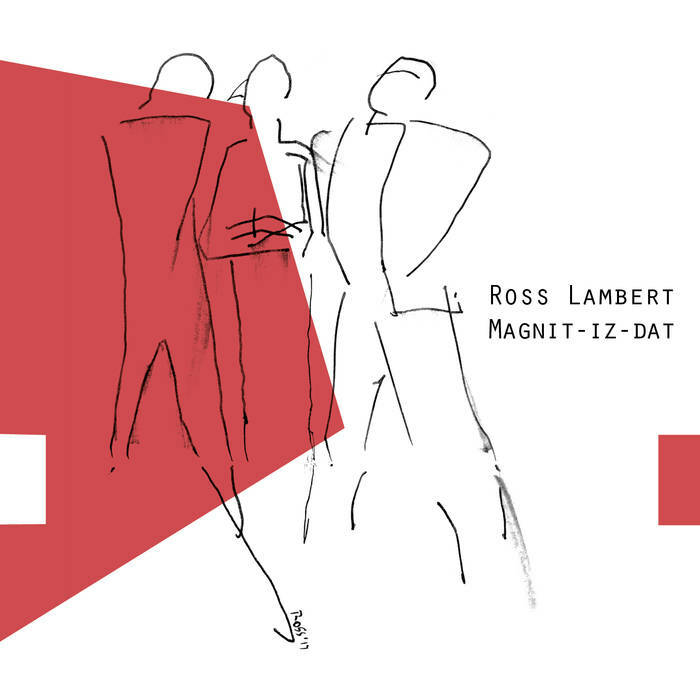 In part recorded in the back seat of a car at various South London locations, this is music in the moment, spontaneous and touching, with Lambert’s spoken introductions emphasizing a personal urban geography. There are sometimes odd vocalizations and bits of alien and electronic noise, but for the most part a listener has an ear pressed close to the guitar’s sound hole. It’s consistently surprising as well as involving, moving through different sonic terrains with a feeling of inevitability, as Lambert moves from sudden driving rhythms, scalar improvisation, free association and the most meticulously detailed lines. “Sometimes Receptionist” moves through a dozen areas, an unfolding that begins with rubbing the body of the guitar to explosions of notes and sound effects to a conclusion of sustained lyric beauty. More than forty years ago, Eugene Chadbourne was already creating his own space, developing a unique musical practice by mixing unlikely (sometimes downright unfriendly) genres, techniques and instruments with a Bakunin-ite aesthetic and humor, crushing country and western into the avant-garde. 1 1/3 is the first of four projected LPs from Feeding Tube that go to the beginnings of his explorations during a Canadian “expatriation.” The site provides the start date of 1975, though the precise venues and recording dates are absent. 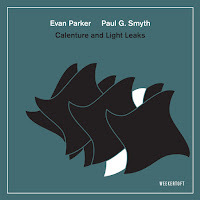 These recordings can still surprise, whether it’s a menacing tape of a CB radio hillbilly matched with abstract, dissonant guitar arpeggios (“Love”); a mash tape of what sounds like radio about CB radio with mad noise and high-speed random guitar overdubs (“BBs Jazz Blues and Soup”); high speed free jazz on classic tunes (“Parker’s Mood” and Dolphy’s “Miss Ann”); higher-speed picking (“Golden Dragon,” “Elbow” and “Making It Go Away”); or layers of noise and strings (“High School”). 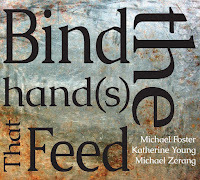 Previously unreleased, this is essential history and hearing.